Nigel Mykura © Copyright Nigel Mykura and licensed for reuse under this Creative Commons Licence. Level crossing safety featured in one of the first posts on these pages and the issue shows no signs of being fully resolved to everyone’s satisfaction. Level crossings cover a wide spectrum and range from substantial barriers and flashing lights on main roads to little more than a field gate and a warning sign in the middle of the countryside – even across busy mainlines! It is the latter type of crossing that this post concerns. Everyone accepts that the best way to reduce the risk of accidents at level crossings is to have fewer of them if at all possible. To this end Network Rail has been pursuing a level crossing closure programme over the past few years. However, one body which has objected to the manner in which some of these closures has been carried out is the Rambler’s Association whose aim is to keep rights of way open. The Association is concerned that remote rural crossings serving footpaths and rights of way have been closed without the provision of viable alternative crossing arrangements. A right of way is thus effectively ‘stopped-up’ by the closure of a path. In this era of judicial review we are accustomed to the fact that, sooner or later, a non-governmental organization such as a campaigning group will endeavour to seek a judicial pronouncement on an issue. However, it has to be said that the Ramblers Association is not a frequent litigant. The fact that a recent crossing closure case is one of the causes which it chose to pursue is perhaps a measure of how strongly the Association feels about the issue. In The Ramblers’ Association v Secretary of State for Environment, Food and Rural Affairs  EWHC 716 (Admin) the Association sought judicial review of an inspector’s decision that a footpath which crossed a railway should not be dedicated as a public highway, despite longstanding usage as such, due to safety concerns raised by Network Rail which feared increased use of the crossing. The footpath in question (Zulus crossing) crossed the Nottingham to Lincoln line near Burton Joyce in Nottinghamshire; it enabled vehicles using a private right of way to cross the line but had long been used by pedestrians. The background facts to the case are fascinating in the sense that they show how long and laborious the process of securing the adoption of a path as a public right of way can be. The Association first applied to Nottingham County Council (NCC) to have the footpath added to the definitive map, pursuant to section 53(5) of the Wildlife and Countryside Act 1981, on 1 May 2006. The application was made on the basis that there had been at least 20 years uninterrupted use of the path and the crossing. A considerable amount of evidence was amassed in support of this claim comprising 33 ‘user evidence forms’ from persons claiming to have used the crossing without hindrance over many years (since 1956 in one case). It took until 5th October 2011, over 5 years since the original application was made, for NCC to reject the application. The Association appealed and the defendant appointed an inspector to hear the matter. The inspector ruled in the claimant’s favour on 21st February 2012 and an Order to add the path to the definitive map was made on 1 February 2013; nearly 7 years since the process first started. That was not, however, an end to the matter due to the intervention Network Rail who were opposed to the creation of any new rights of way across its lines, especially at a time when there was a policy of reducing ‘at grade’ crossing points in the interests of public safety. The recognition of a public right of way across the track at this location could result in an increase in pedestrians using the crossing. This led to a public inquiry in which the inspector was persuaded by these arguments: see report dated 26 October 2015. It was this decision which formed the basis of the judicial review proceedings. The main argument focused on section 31(8) of the Highways Acts 1980 which provides that a statutory undertaker may effectively block the creation of a public highway across its land if it would conflict with its duties as a statutory undertaker. During the appeals process Network Rail had been at pains to point out that there never had been a public right of way across the line at that location and adduced the original Act of Parliament which authorized the construction of the line and its books of reference as evidence. The creation of a new public right of way across a railway at a time when there was a policy of reducing such crossings would, it was argued, conflict with its duty to operate a safe network. A number of old railway cases were cited on the issue of the whether a railway company could in fact dedicate a new right of way ‘across its metals’ in any circumstances. The bulk of the rail system was built in the nineteenth century under powers conferred by private Acts of Parliament. These Acts made provision for existing rights of way and stipulated the creation of level crossings, bridges, underpasses and so forth. Prior to the introduction of the incompatibility provision in highways legislation the issue was framed in terms of whether the creation of a new right of way across the track would be ultra vires the statutory powers under which the railway was built. If the land were vested by the Act of Parliament in commissioners, so that they were thereby bound to use it for some special purpose, incompatible with its public use as a highway, I should have thought that such trustees would have been incapable in point of law, to make a dedication of it; but if such use by the public be not incompatible with the objects prescribed by the Act, then I think it clear that the commissioners have that power. The mere circumstance of their not being beneficial owners, cannot preclude them from giving the public this right. (at 478). The Leake approach was followed in A-G ex rel Barnes Urban District Council and London and South Western Railway (1905) 69 JP 110 in which the plaintiff council challenged the decision of the defendant to close a level crossing and replace it with a footbridge. It was feared that those with handcarts and perambulators would be greatly incommoded by the loss of the ability to cross the line on the level (or ‘at grade’). The level crossing in question had been created in 1847 following an agreement made between the Mortlake Vestry, the predecessors in title of the plaintiff Council and the defendant railway company. Farwell J held that Leake was authority for the proposition that “a statutory company can dedicate a footway so long as its user is not inconsistent with the objects and obligations of the company.” The extent to which the dedication of a right of way over the crossing would interfere with the running of the railway was a matter of fact to be determined by the court. In this respect the judge found that the safety concerns raised by the defendant could not be justified. The approach was later endorsed by the Court of Appeal in South Eastern Railway Company v Warr (1923) 21 LGR 669. The common law based ultra vires argument relating to incompatibility was replaced by a new statutory test under section 31 of the National Parks and Access to the Countryside Act 1949, the precursor of section 8 of the Highways Act 1980. The first major case to consider the new statutory provision was British Transport Commission v Westmorland County Council  AC 126 in which the County Council sought to establish that a right of way existed over a railway footbridge. The bridge in question had been built pursuant to the private Act of 1845 under which the construction of the line had been authorized. However, at the time it served a private as opposed to a public right of way. Nevertheless, the County Council contended that a prescriptive right had been established by 20 years uninterrupted use. The Quarter sessions, following an application made by the British Transport Commission (BTC) under section 31 of the 1949 Act, declined to rule that no public right of way existed over the bridge. BTC sort judicial review of that decision and the matter progressed all the way to the House of Lords. [T]o give to incompatibility such an extended meaning is in effect to reduce the principle to a nullity. For a jury, invited to say that in no conceivable circumstances and at no distance of time could an event possibly happen, could only fold their hands and reply that it was not for them to prophesy what an inscrutable Providence might in all the years to come disclose. (at 144). Thus the court or tribunal tasked with considering the incompatibility issue should confine itself to foreseeable changes in circumstances. As will be seen below, this finding proved relevant to a complex argument made in the Ramblers Association case to the effect that past factors ought to predominate. The foregoing case law made it clear that it was within the gift of rail operators to dedicate a right of way across a line provided that this would not interfere with their ability to run the line in a safe and efficient manner. However, in case of dispute, it would be for court (and/or the inquiry following the inclusion of the issue in Highways Legislation) to decide, as a matter of fact, whether the concerns raised by the railway operator were justifiable. However, it was argued that there was still some scope for argument concerning the point in time at which material factors should be considered. It was argued that on this basis the dedication is deemed to occur at the start of the 20 year prescription period. If the aim of the incompatibility test is to stop a right of way from being dedicated in the first place, then the tribunal considering the matter must look at those factors which prevailed at the start of the prescription period rather than current factors. Otherwise there would be a mismatch between the assessment of whether dedication is possible and the assessment of the evidence as to whether there was sufficient evidence of prescriptive use. Thus, present, rather than future or past circumstances should be the prevailing considerations, allowing some scope for foreseeable future developments to be assessed. Turning to the evidence itself of projected increased pedestrian usage of the crossing and subsequent increased risk of accidents, following its dedication as a right of way, Dove J could find no reason to impugn the inspector’s interpretation of the evidence on irrationality grounds. The other main legal argument focused on the proposition that an easement cannot arise from conduct which is rendered illegal by legislation at the material time. This was expressed by Dillon LJ in Hanning v Top Deck Travel Group Ltd (1993) 68 P&CR 14 in the following terms: ‘an easement cannot be acquired by conduct which, at the time the conduct takes place, is prohibited by a public statute.’ The Inspector found that anyone who had used the crossing (other than those exercising their private right of vehicular access) during the alleged prescription period had been guilty of trespass attracting criminal liability under section 55 of the British Transport Commission Act 1949. There were two strands to the argument on this issue. Firstly, it was contended that the principle does not apply where the servient owner has the power to dispense with the illegality by granting the easement (described as a ‘dispensing power’). Secondly, it was argued that the use of the crossing by persons other than authorized users did not constitute a criminal trespass in any case because the signage at the crossing was inadequate to give rise to liability under the 1949 Act. Dove J dealt with the latter point first. I do not consider that it was necessary for the notice to specifically use the words “trespass”, in circumstances where the obvious substance of the notice was to make clear that being present on the railway lines was prohibited (or not authorized) which is clearly the meaning of trespass as it is applied in section 55. The notice made clear that passing onto the railway lines was prohibited. Had it used the word “trespass” it would not have in any way changed the substance of the contents of the notice. As such it satisfied the requirements of section 55(3). The judge also rejected the argument that Network Rail had a ‘dispensing power’ to effectively retrospectively legitimize the use of the crossing by granting the easement. Dove J held that this argument returned the case to the central point that Network Rail did not have an unfettered power to grant easements or dedicate rights of way across the metals. Given that it had already been established that dedicating a right of way was incompatible with its statutory duties, it followed that a power to dispense with criminal liability so as to facilitate the creation of a right of way must also be caught by the incompatibility test. The final argument concerned whether the inspector should have found that the paths leading up to the crossing from either side of the line should have been dedicated as rights of way, notwithstanding the fact that they would have formed two cul-de-sacs leading to nowhere because they could not be connected up across the line. Presumably, the motivation for this argument was that it would put pressure on Network Rail to complete the link. The case law indicated that a cul-de-sac could serve as a right of way if it provided access to ‘some kind of attraction at the far end’ which the public are entitled to visit such as a park or monument: see Oxfordshire County Council case (above, at ). Dove J, at , held that a railway could not fall within this category and the argument was rejected. It is perhaps surprising that an isolated rural crossing in Nottinghamshire, consisting of no more than a couple of field gates and some weathered warning signs, can give rise to several pages of dense legal argument. However, such complexities are inevitable when statutory powers collide with ancient common law principles. The statutes which created the railway system in the nineteenth century slashed across the common law in the same manner that the lines which they authorized carved through the English countryside. A number of ragged edges were left, the effects of which can still be seen today as demonstrated by this case. Property law purists will doubtless be deeply vexed by the manner in which the relevant statutory provisions interfered with well settled common law principles relating to prescriptive easements. Contemporary safety concerns regarding level crossings were effectively projected back in time so as to prevent the right of way from coming into being. It is not surprising that the judge felt compelled to resort to pragmatism; although this may have resulted in doctrinal purity being sacrificed on the alter of public safety. The case must also be viewed in the wider debate regarding level crossing safety, the adequacy of the legislative regime and the closure programme. When the Law Commission as asked to look at the issue they may have been forgiven for thinking that it would be a concise, well-defined project leading to a concise set of conclusions. However, due to the messy accumulation of statutes dating back to the dawn of the railway age, the many restructurings of the industry and the splitting of functions between different regulators, the Commission found it to be a fiendishly difficult task resulting in a long and complex report: see Law Commission Report No 339, Scottish Law Commission Report No 234. One of the most complex issues concerned the weaving of rights of way into the matrix. Given the complexities which one insignificant crossing can generate, this is hardly surprising. Despite theses difficulties the Commission was able to formulate draft regulations setting out new procedures for modifying or removing level crossings; however, despite an initial flurry of enthusiasm for legislative reform, the Government decided not to act upon this and instead settled upon ‘administrative measures’: see letter from Jo Johnson (then Rail Minister) dated 25 May 2017. Meanwhile the ORR has maintained the pressure on Network Rail to close level crossings and certainly not to create any new ones. The policy has widespread backing; indeed, one of the points made by Network Rail in the case at hand was that the ORR would not sanction the dedication of a new public right of way across an at grade crossing – see ORR policy guidance on new level crossings. Where a right of way already exists, under the current system closing a crossing which has an existing right of way over it may not always be a straightforward matter. Where footpaths and bridleways are concerned the Highways Authority has the power to ‘make a rail crossing extinguishment order’ under section 118A of the Highways Acts 1980. If the Highway Authority cannot be persuaded to use this power, Network Rail must seek a ministerial order under the Transport and Works Act 1992. This can be a time-consuming a complex procedure involving a public inquiry in some cases. A recent instructive example includes an order for the closure of six pedestrian crossings on the Felixstowe branch line as part of an improvement programme. Against this background it is hardly surprising that Network Rail is prepared to fight very hard to prevent new rights of way from coming into existence; although one can also understand the Rambler’s Association’s desire to keep rights of way open and to formally dedicate those which have long standing usage. However, where railways are concerned, any court would find it difficult to resist arguments based largely on safety grounds. The issue of safety at level crossings continues to attract intense media scrutiny due to a number of high profile incidents and a constant stream of ‘near miss’ CCTV footage featured on news items and YouTube. In 2013 there were 10 fatal accidents at level crossings and 10 fatal collisions between trains and road vehicles (see Rail 741, below). And in early February 2014 Rail magazine reported that Network Rail was set to mark the closure of the 750th crossing since the beginning of a closure programme began: see Rail 741 (5-18 February 2014) 12. The dangers of level crossings are obvious and Network Rail has an ongoing programme of replacing crossings with bridges or underpasses wherever possible. However, it will not prove possible to eliminate all crossings and it may be many years before the crossing replacement programme is complete. In the light of the acute safety issues law has a vital part to play both in terms of managing existing crossings and governing the process for their replacement or closure. In 2008 the Law Commission was asked to investigate the issue by the Department for Transport following concerns raised by the Office of Rail Regulation. In particular, it was felt that the existing regime was fragmented and governed by too many different parties working to different standards and objectives. A tidying up of property rights and easements pertaining to level crossings. Part 1 of the report sets out the background to the investigation and identifies the main issues. In particular, the Commission refers to the antiquated nature of much of the legislation. Powers and duties, which can be traced back to the original private Acts of Parliament authorizing the construction and use of particular railways, have been overlaid by subsequent attempts at codification such as the Level Crossings Act 1983; this has led to a great deal of complexity (see below). The Law Commission also elected to exclude tramways from the definition of railways for the purposes of its investigation and subsequent recommendations. This is because tram systems are designed to enable trams to negotiate other modes of traffic in a manner which main line trains clearly cannot. The applicability of the Health Safety at Work Act 1974 is set out in section 9 of the draft Bill. ‘A single modern safety regime would be clearer and more accessible, would remove the potential for conflicting requirements and would sit more comfortably with the health and safety regulation across the railway, road and other industries.’ (para 2.22). Moreover the Commission proposed that there should be a legal duty to consider the ‘convenience of users’ when deciding how a particular crossing should be managed. The report gave examples of specific crossings where ‘down time’ (the time during which the crossing stops traffic and pedestrians etc to allow train movements) is 45 minutes in the hour much to the inconvenience of those trying to cross the line. There must also be a duty to consider the needs of users with special requirements such as those with mobility issues or horse riders. This duty is reflected in section 2 of the draft Bill which also contains a provision enabling users to apply to the High Court for a review of decisions which do not sufficiently, in their view, take their needs into account. This is an unusual provision in that it establishes a statutory right to judicial review within the context of the legislation (section 3 draft Bill). There is a limitation period of one year from the date of the decision which is much longer than the normal judicial review limitation period of 3 months (now reduced to 6 weeks in planning matters). Presumably it was felt that this method of review would be cheaper than setting up a specialist tribunal from which there would probably have to be a right of appeal to the High Court in any case. However, as might be expected, although the draft Bill establishes a duty to consider the convenience of all users, it does not mean that their needs would have to be catered for in all instances. The duty does not apply if it would be impracticable or unreasonable to make special provision for a particular group of users in a particular case. The use of this qualification is commensurate with the Health and Safety tenor of the proposals. The use of the term ‘voluntary’. The fact that existing level crossing orders will not automatically convert into crossing plans and will all be repealed three years after the legislation comes into force. The plans are voluntary only in the sense that they afford flexibility in terms of how a crossing is managed. However, the party responsible for a crossing (whether it is Network Rail, a heritage railway operator or a company owning its own factory sidings) will have to ensure that the crossing meets the overarching requirements of HSWA. Although existing orders would not automatically convert into crossing plans, in practice it is likely that the existing order would provide the starting point; even though it would have to be formally submitted as a crossing plan. The hope is that this approach will make it far easier to adopt modifications than the old procedure which necessitated a new crossing order. Effective level crossing plans would demand close cooperation between rail and highways authorities and the Commission recommends that this should be a legally enforceable obligation. This could be achieved through modification of the Railways and Other Guided Transport Systems (Safety) Regulations 2006. Moreover, the drawing up of level crossing plans should include a consultation process enabling all users and interested parties to express their opinions. For example, modifications to farm crossings should obviously require consultation with farmers and their representative bodies. The Commission appended to its report an entire draft set of Level Crossing Plan Regulations which are expressed as being based upon, inter alia, section 9 of the draft Level Crossings Bill (which gives effect to the generic power under section 15 HSWA to make regulations and other arrangements). These contain detailed procedures for the drafting and approval of plans in addition to consultation rights for interested parties. It should also be borne in mind that sections 4 to 8 of the draft Bill are devoted to level crossing directions which sound very similar to level crossing orders. They enable the regulator to impose requirements in respect of a particular crossing. The relationship between directions and level crossing plans is not entirely clear, although one can assume that ultimately a centrally imposed direction would ‘trump’ a crossing plan. In paragraph 2.29 the report states that a direction could not be used in place of a plan. However, in paragraph 2.30 it is suggested that the threat of a centrally imposed direction could operate as an inducement for the relevant parties to agree a plan. This indicates that as a matter of last resort a direction could operate in place of a plan. The Law Commission clearly struggled with crafting regulatory instruments which could blend bespoke local requirements with centrally imposed standards. It is not clear whether this combination of directions and plans is the solution. Could a rail company simply drag its feet, by relying on an old crossing order as a template for its crossing plan, until told to do something more radical by way of a direction? The efficacy of crossing plans could very well depend upon the vociferousness of local users and the extent to which they would be prepared to use the judicial review mechanism to achieve a more effective plan. As regards enforcement the Commission noted that this was currently split between the Health and Safety Executive (HSE) and the Office of Rail Regulation (ORR). The Commission recommended that the ORR should retain responsibility for taking enforcement action in respect of risks arising from the railway, whereas, the Health and Safety Executive should investigate all other risks (see para 2.287). It would be left to the Secretary of State to clarify the demarcation lines between the two bodies in regulations. This distinction is not particularly clear; level crossings are potentially dangerous because they bring rail and non-rail users into possible conflict and any enforcement body needs to consider all risks from whatever source. The draft Bill contains little guidance on the relationship between the HSE and ORR in terms of enforcement. The Secretary of State must consult with the ORR before issuing a level crossing direction (section 5 draft Bill). However, there is little by way of clarification regarding the enforcement of directions. It could be the case that the status quo, entailing overlapping jurisdiction between the HSE and ORR, is maintained until such time that the Secretary of State elects to clarify the relationship by way of regulation. Whether there is a need to set in stone the relationship between the two bodies in this way is open to debate. The Commission refers to the fact that the HSE and ORR have already agreed a memorandum of understanding regarding their respective responsibilities (see para 2.288). Another option (which is not in the report) could entail the two bodies pooling their resources to establish a specialist Level Crossings Inspectorate along the lines of the Rail Accident Investigation branch. 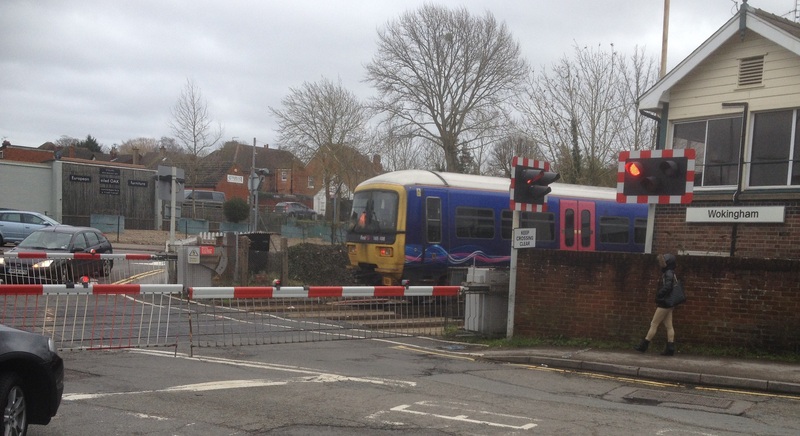 Part 3 of the Report deals with the closure of level crossings. The Commission notes that there are a range of disparate powers currently in force relating to the closure of level crossings stemming from a number of statutes including the Transport and Works Act 1992 and the Highways Act 1980. The Commission proposes replacing these with a single statutory procedure to be set out in new legislation. The Commission emphasised the need for consultation of all interested parties and the imperative of complying with human rights legislation on the right to property and the right to family life. These rights could be engaged in some cases because bridges and underpasses require more land than level crossings and may necessitate the use of compulsory purchase powers. The railway operating company and the highways authority would be in a position to apply for a closure order and the Secretary of State would be the competent authority. This would trigger a detailed consultation procedure and necessitate a public hearing, presumably to be conducted by a Department for Transport inspector, in contentious cases. The closure procedure is dealt with in Part 2 of the draft Bill. 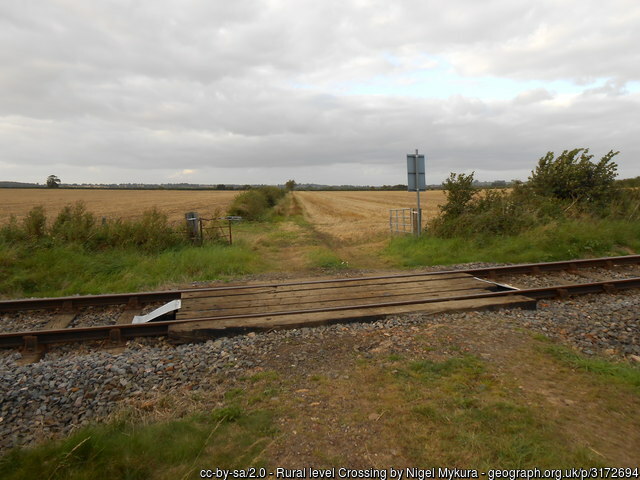 Part 4 of the Report focuses on anomalies and tangles which have arisen in respect of rights of way issues relating to level crossings. Rather alarmingly the report refers to the acquisition of an easement across a railway by prescription. This could further hinder the closure or moving of crossings and may not be conducive to safety. The Commission recommends a statutory prohibition on all such prescriptive easements amongst a range of other measures which are set out in Part 4 of the draft Bill. It is likely that the Law Commission’s findings will feed into this process. The Law Commission Report and draft legislation is a welcome development in the field of level crossing safety. However, the Commission clearly found this to be a much more difficult exercise than it may originally have envisaged. A five year investigation has produced a lengthy and detailed report accompanied by complex draft legislation. However, notwithstanding the difficulties of the current closure procedures. Network Rail has been continuing apace with its closure programme. It is not clear whether any new legislation will be on the statute books in time to assist with this programme. As regards the regulation of existing crossings, the report makes a concerted effort to make the regulatory process more flexible and receptive to innovations in technology. 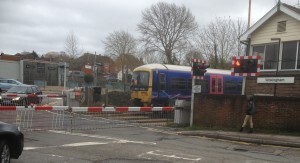 In a striking example the Commission quoted a case in which, in order to take the very simple step of replacing conventional bulbs in warning lights with brighter LED bulbs, Network Rail had to secure an undertaking from the ORR that it would not take enforcement action for breaching the relevant level crossing orders (see para 2.122). Assuming that the proposals reach fruition in legislation, only practice will tell if the new regime succeeds in delivering this greater flexibility.